What if I raised my handbrake by just 1 notch to solve the problem? The alarm you are talking about are the factory chimes. These are gone if you remove your stock radio. k, I just looked at the DRL relay on my 98 GT and it's numbered 1-5.....short of getting 5 relays from the wreckers and figuring out one at a time which is #86.......any thoughts on which one it would be? Stop, Drop and Roll doesn't work in Hell!!! Uhh... what? What are you trying to do here? Question for anyone with the 00-05 drl disable, does it throw the service engine light, or does it fool the car into thinking it still has the lights? I'm running HID's in my brights and without anything in the low's for the drl's the service engine light comes on. That will disable the DRLs, IIRC... But let me ask you this: Is there a small bump offset towards the edge of one of the in-dash speaker-grilles? If so, then you also have automatic headlights (AHLs) which will switch-on the low-beams anytime you start the engine... or put the lock-switch in the "ignition-on" position... when it's dark enough outside. Remove the speaker-grille & disconnect the wires running to the optical resistor (That funny-little, "domed" sensor-thingy). Place a 1/2W, 1000K-Ohm (or was it 200K-Ohm?) resistor so its "whiskers" are separately in-contact with the the sensor-plug terminals (One in each). Figure out a way for the resistor to remain attached to the plug but still removable in the future (I just bent the resistor over on it's whiskers & bent them so they "hug" the plug), then tuck the plug back into the recess-hole for the speaker & reinstall the grille. You now have full-manual control of your lamps. Now I understand what you're talking about thanks! That particular hack refers to the 86 pin on the 95-97 DRL's... which use a separate relay on the front frame rail. 98 & 99 use one inside the fuse panel on the left side of the dash (as does 00-05, but is wired differently... so I'll leave that alone for now.. since your car is a 98). That 'hack' won't work right on your car... but if you want to try it anyway, pin 5 is the ground... which is what pin 86 is on the older year. Try it and let us know... but I suspect it'll cause problems. No service light. 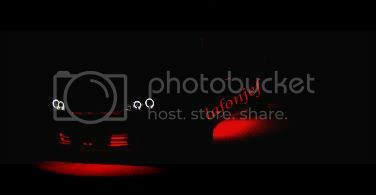 The headlight switch is switching ground.. the headlights always have a positive feed to them. You just trick the BCM into thinking the low beams are on by giving the BCM a constant ground on the low beam feed. Doesn't cause any side effects... at all. Uhh... wtf? No 00-05 J-body came with automatic headlights. Where did this come from all of a sudden??? k, so DRL's were deleted til I discovered that my HID bi-xenon kit was missing a connector in the wiring harness (aarrrgggg) but I can fix that later (splicing is good). For an update though, if you come across the DRL relay with the numbers 1 - 5, number 5 is the ground you want to get rid of (thanks Lenko for the info on that one). I can guess, by looking at the relay diagram, that if you are running a 98-99 j-body, and you do come across a relay with #'s 85-87a (found 3 of them myself) that #87 will be the same ground. Once I took that tab off and plugged it back in, the DRL light on the dash flashed rapidly for a few seconds then slowed down to a not so annoying easily ignorable rate. This eliminated my DRL's and allows my lights to operate normally. If you just pull the relay, your drivers side lights will be delayed and output severely reduced. ^^Sorry... I'm just here mostly for LN2 build-up tips. I decided to browse & came across this thread, figured I might have something to contribute, and have been tied to it since. But to answer your question more directly: Even the base-model "Fleeter" S-trucks came with DRL & AHL in '99. I have one, and defeated both on it, so I should know! So one other thing I noticed....My high beam indicator light on the dash (blue one) is one with the headlights no matter what. Looks like the voltage difference is keeping that light lit. I will have to figure that one out in a bit (unless someone knows what they are doing with it already. Also, does anyone know which wires to wire into for the drls so that my turn signals (on full) become the drl's? Trolling cleaned up, now let's get this thread back on topic. Sorry for the dumb question but I am a total newb when it come to wiring/electrical stuff. I was thinking about doing the DRL disable on my 03 Z24 but in ontario we need to have the DRL's working to pass safety testing. And some of my friends have gotten pulled over by the local cops and have gotten tickets for it, since it technically is illegal. How would I go about wiring up a switch to them? The switch doesnt need to go to the dash, I just want to be able to quickly turn them back on if need be. awesome instructions. 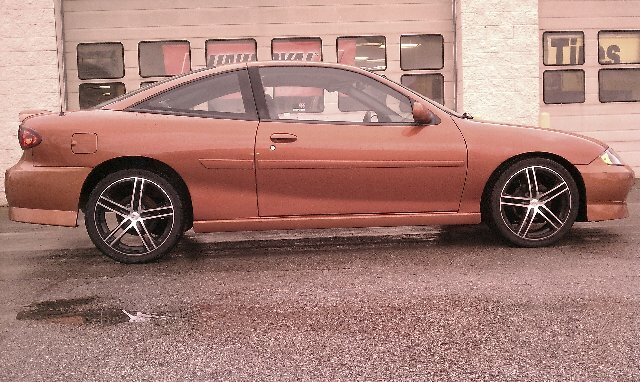 i got the easy way out havin a 99 z24 lol. im at college and have a screwdriver and a pair of pliers and a knife for tools and put white gauges in today, and while i had my topper off did the drl disable. no problems at all. I did this drl trick on my 04 years ago and had to undo it. I replaced my factory radio and had to put a chime module in to keep my chime working. The problem is this mod will take out ur chime module. I went through 2 of them before i figured out what the deal was . Anyways just so u know. I personally just pulled the relay which puts a wrench light on ur dash, but oh well ! I cant see the first 2 pictures on the 95-99 section, can anyone show me better? now heres a question, i got 98 cavi, i wanna do the 2k upgrade to 9007 low/high beam, should i do the disable first or do the upgrade to 9007 first, or doesnt it matter, now if i do the upgrade first, should i follow the 98 intructions or follow the 2k+ instructions?